Plumbing emergencies often occur at the most inconvenient moments — although no emergency situation to your home or business’ plumbing system is ever really convenient. Whenever the unexpected occurs, contact Sunshine Plumbing and Gas to speak with an emergency plumber, 24 hours a day, 7 days a week. We provide 24/7 service so you never have to wait to deal with a plumbing emergency. Timely repairs can also help prevent further damage from developing and affecting other system components. We are a fully licensed and insured plumbing repair company with technicians that are highly trained and equipped with the latest plumbing industry technologies for emergency repairs in North Central Florida. The comfort of our customers and the integrity of their property is our No.1 priority. If you have a plumbing emergency, don’t wait — contact us for prompt and reliable service anytime, day or night. Our licensed plumbers are trained to quickly and efficiently address and repair any residential or commercial plumbing issues your system may develop. Some of the most common plumbing issues that lead to the need for emergency repairs include the following. Pipe bursts can occur due to several reasons such as freezing conditions, age, misuse or damage. Pipes are put under a lot of pressure and any defect or weak spot in the pipe will be broken down over time. The effects of a burst pipe can be devastating and are often quickly noticed due to the large volume of water that can spill out. If you have a burst pipe, you should call an Ocala plumber to get it fixed immediately as it can leave you without water for days and cause serious damage to its surroundings. Water heaters are an important component to your home or business and an issue can leave you without hot water or cause leakage. It is normal for water heater features to wear out over time and they are usually a quick repair. However, waiting to address the issue could lead to further and more extensive damage to the system. If your system is experiencing an issue, contact Sunshine Plumbing and Gas for professional water heater repair. Slow or clogged sinks and clogged toilet drains occur often and while there are many drain cleaner products available over-the-counter, they tend to be temporary fixes or inefficient — they can even make the problem worse. Instead of wasting your money buying drain cleaner every time your drains back up, contact us to speak with a professional emergency plumber. We can identify the issue and ensure your drain is thoroughly unclogged and any damage is repaired. Leaks from pipes, plumbing fixtures, and fittings are a significant source of water waste in many homes and businesses and can lead to higher water bills. Not to mention that water damage can be quite costly to repair. Because of this, it is important to fix plumbing and water leaks as soon as possible and keep an eye out for potential warning signs. Most pipes begin to leak near the joints, causing wet spots on the ground, ceiling, and surrounding areas. Any issue with your commercial plumbing can quickly affect your building’s structure as well as the comfort of your employees, clients, and customers. A failing plumbing system can lead to downtime, reduced daily productivity, and a significant decrease in profits. As a business or property owner, emergency plumbing problems are not an option. If your business’ plumbing develops an issue, we can provide you with reliable commercial plumbing repairs any time of day or night, so you can avoid downtime during regular business hours. Emergency plumbing issues in a home can be catastrophic, causing water damage to your belongings or leaving you without the use of clean water. We understand how stressful situations like this can be and know that any plumbing issue should be repaired immediately. That’s why we offer emergency residential repairs, 24/7. 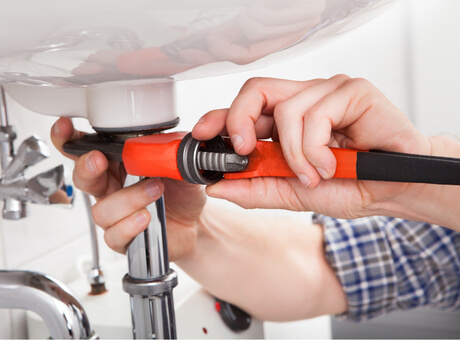 If your home is experiencing a plumbing issue, we can provide you with fast, reliable residential plumbing repairs and restore your plumbing system to optimal function with minimal disturbance. How Can I Prevent Emergency Plumbing Issues? Not every plumbing emergency can be averted, but there are a number of things you can do to help prevent issues from developing and causing a disaster within your system. To avoid plumbing system disasters consider the following. Don’t pour grease down the drain. Once grease solidifies, it clogs the pipes and can lead to other serious problems in the piping. Instead, contain grease in a heat-resistant container. Once hardened, throw the solidified grease away in the trash. Avoid liquid drain cleaners. It’s true that many drain cleaners can eat through clogs. But they can also eat through the drain lines. Even used sparingly, store-bought drain cleaners cause tiny holes to form and can lead to burst pipes, water damage, and toilet or sink clogs that are even more difficult to repair to normal function. Replace the water heater. Like many other hard-working appliances in your home or business, water heaters have a limited functional lifespan. With proper maintenance and timely repair, the average water heater can last for 8 to 12 years. If you don’t know the age of your water heater or if it's nearing double digits, you likely need a replacement. Mind what you flush. Toilets generally experience frequent use each day. A fully functional toilet can quickly overflow, become clogged, and fail to function due to the type of items flushed. Only flush toilet paper and natural waste to avoid toilet disasters.